Wheeler Peak (elevation of 13,000 feet), rises far in the background. Photo taken on the Mt. 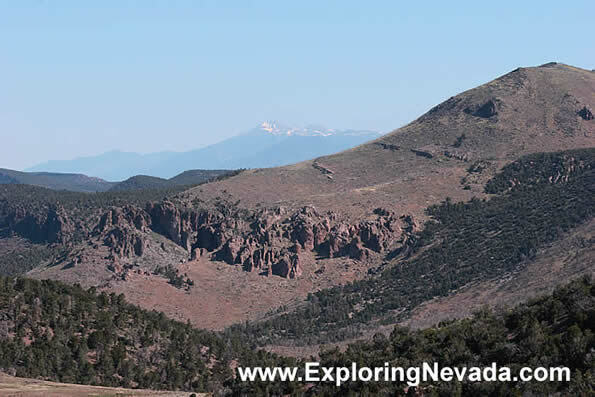 Wilson Backcountry Byway Scenic Drive in eastern Nevada.